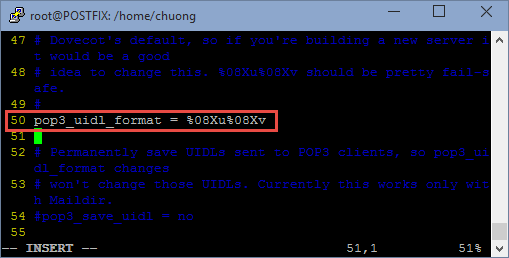 Type ESC, :x to save and exit. 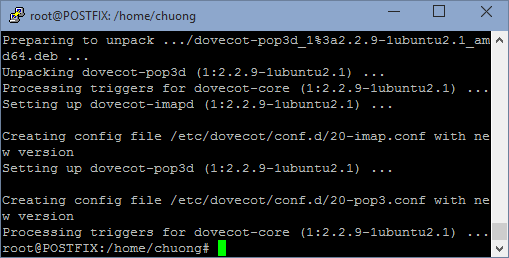 Step 3: Edit the file /etc/dovecot/conf.d/20-pop3.conf to change the pop3_uidl_format. 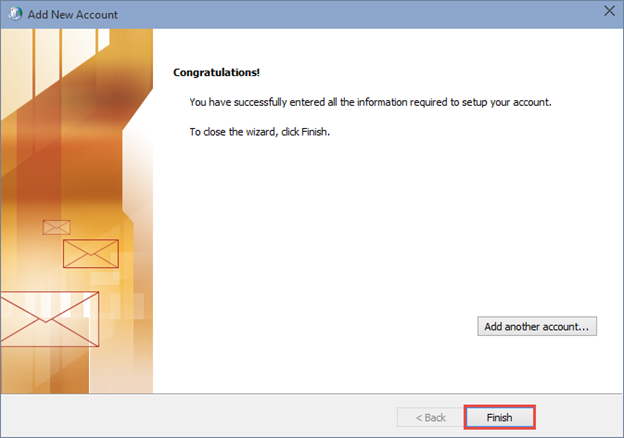 Type :set nu to turn on line number. 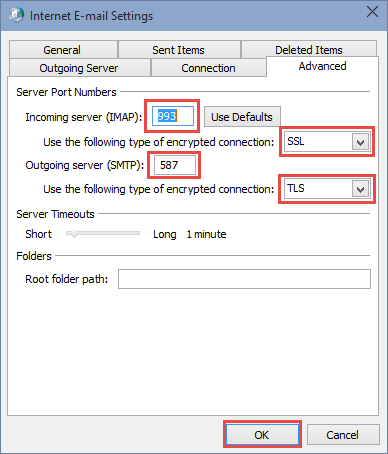 Type :6 to go to line number 6. 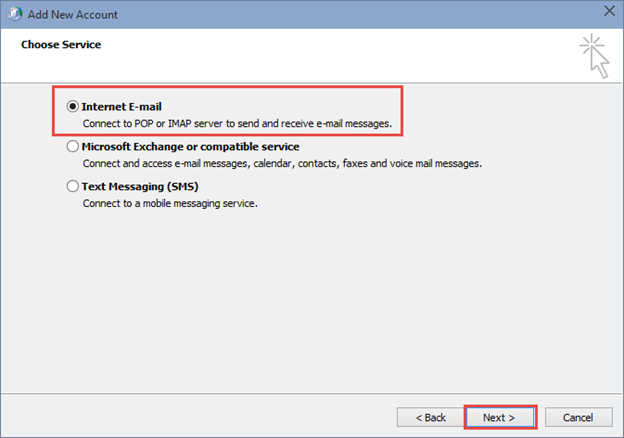 Step 6: Test IMAP and POP3 access using telnet. 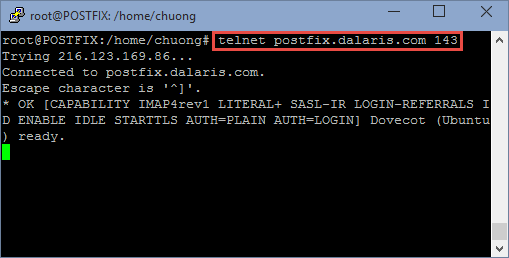 To test IMAP, type telnet postfix.dalaris.com 143 (where 143 is the port that IMAP listens at). 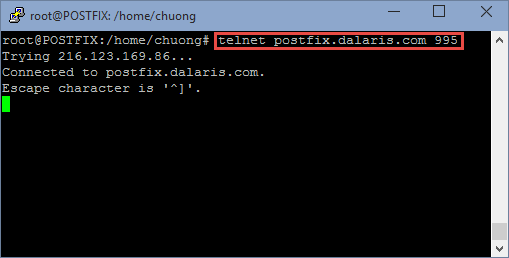 To test POP3, type telnet postfix.dalaris.com 110 (where 110 is the port that POP3 listens at). Also test secure IMAP and POP access on both 993 and 995. 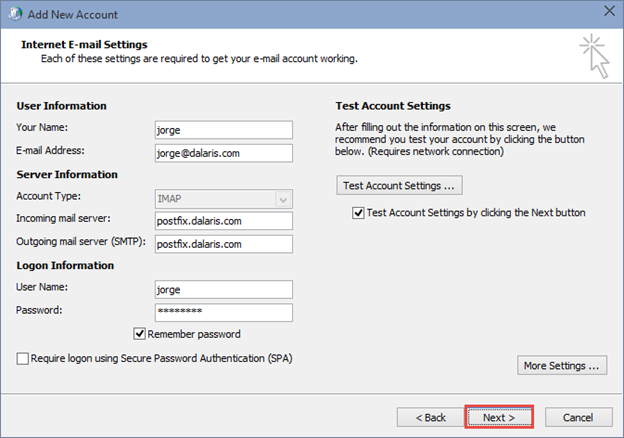 Step 7: Create two users to test. 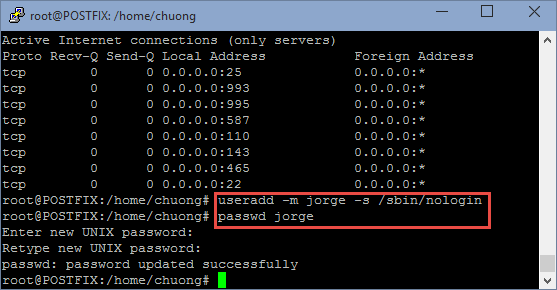 Enter a password for the user jorge. 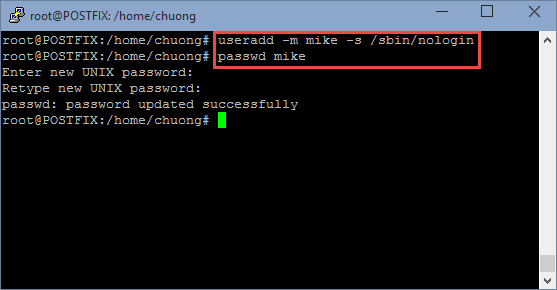 Also enter a password for Mike. 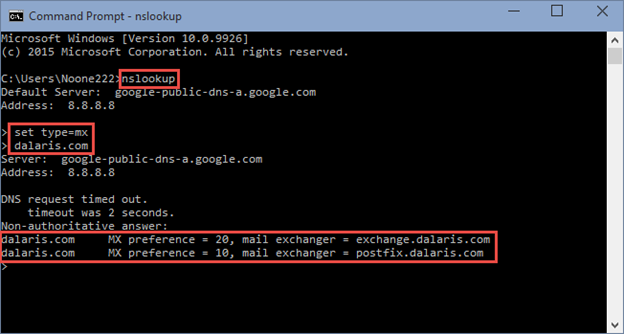 Use nslookup to verify that you have MX records in place. 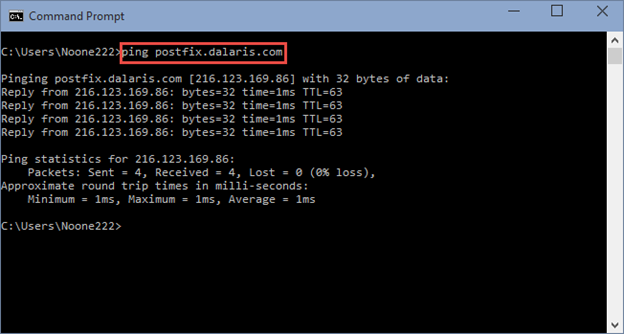 Note in the below that the HIGHEST priority MX record is pointing to postfix.dalaris.com. 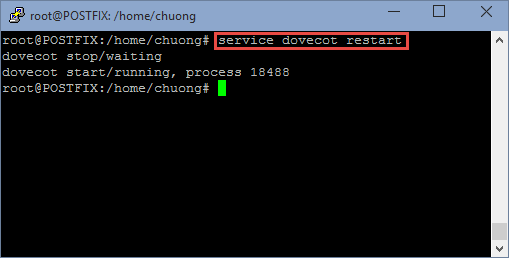 This is done on any computer on the Internet. 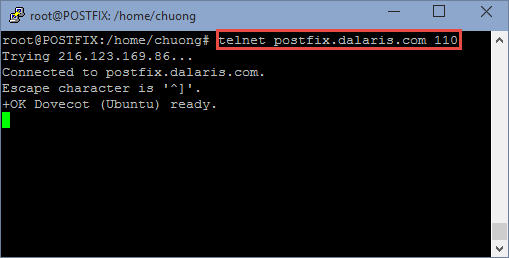 And of course, postfix.dalaris.com points to our own Postfix server that we are configuring. 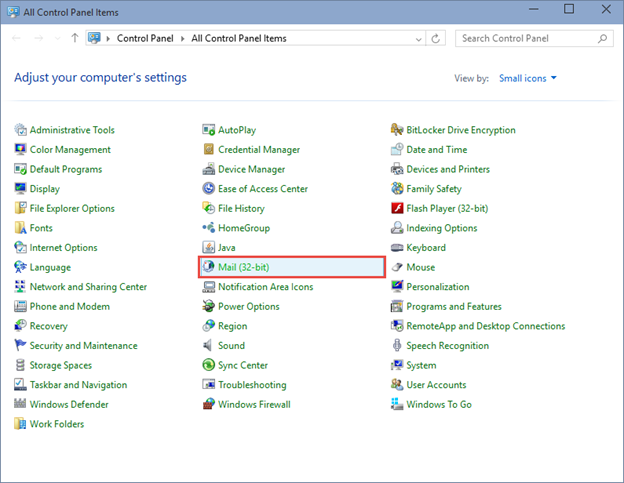 In Windows 10 Technical Preview, Open Control Panel. 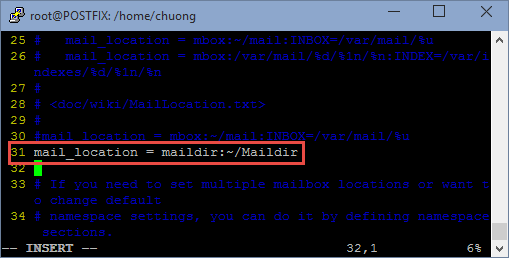 Choose Mail. 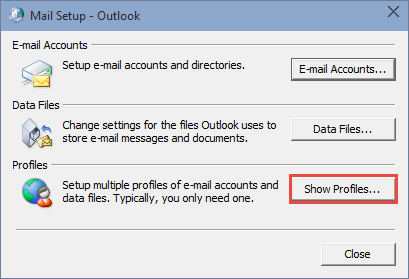 Click Add to add a new profile for testing purpose. 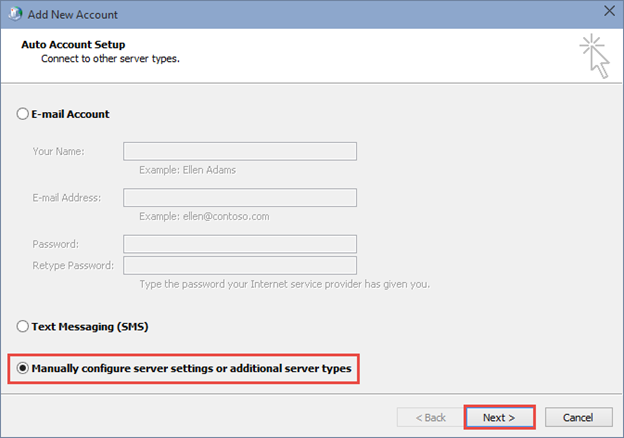 Enter the name of the profile and click OK.
Click Manually configure server settings or additional server type and click Next. 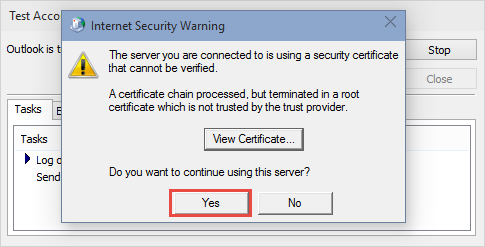 Click Yes to continue using this server. 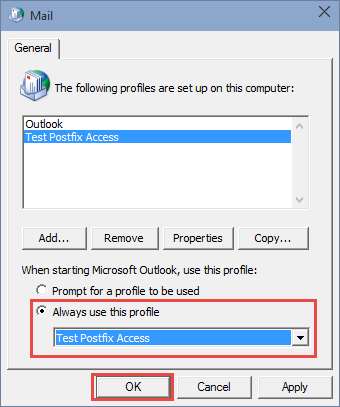 Set the profile to use so that every time when we launch Outlook, the test profile opens. 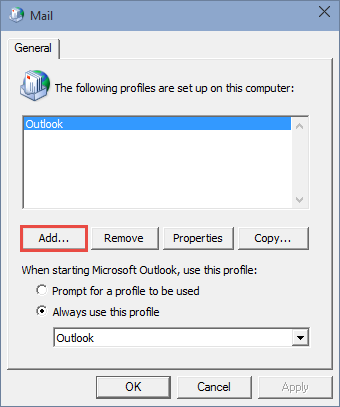 Launch Outlook. 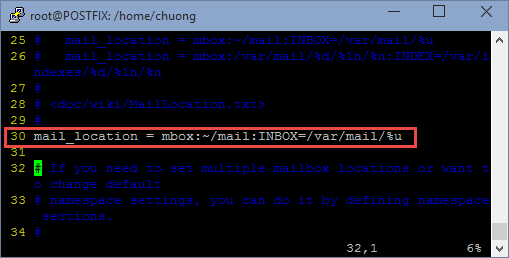 You will see the mailbox opens. 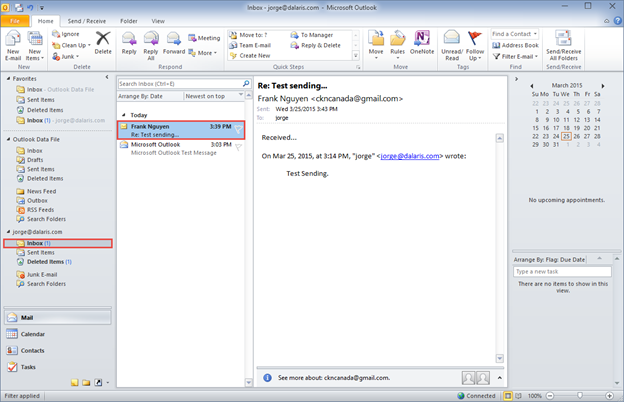 Compose an email to send out to the Internet. 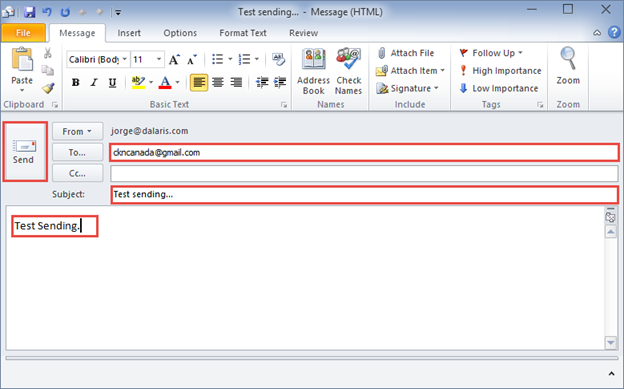 Hit Send when done. 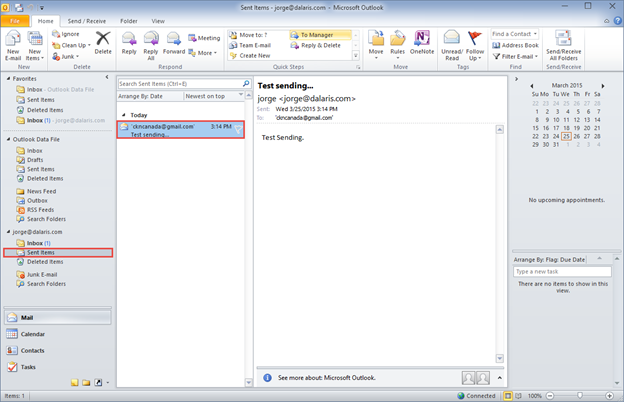 Check the Sent Item to ensure that the mail has been sent. 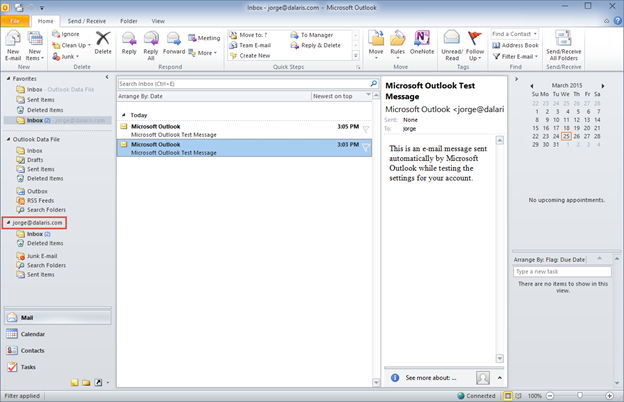 In Gmail, we see that email shown up in the inbox. In Gmail, Reply to the email and verify that I also received it in Jorge’s inbox. 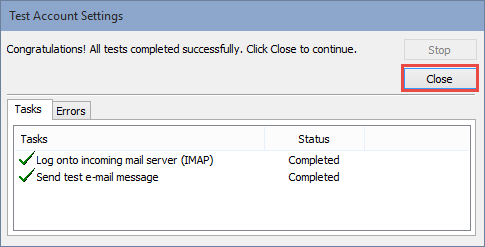 So we have verified that incoming and outgoing Internet mail is flowing. 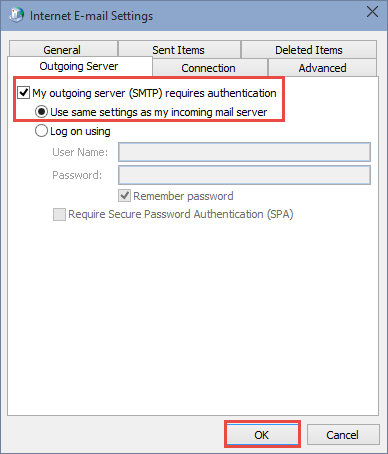 Should you want to bring this server in live environments, please remember to make sure that you have security measures in place for it such as Anti-Virus and Antispam firewall and services to protect it from misuse.